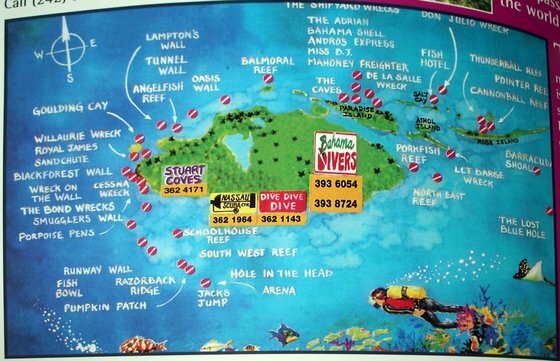 In May 2005 I was on the Bahamas, Nassau mainly for a few days of scuba diving. I got a UW camera case for my small Pentax Digicam and a UW flash which is triggered via optical fibre. That's not optimal as my camera doesn't have a aperture preset mode, but it worked pretty well anyway. I've not got all images postprocessed yet, so this collection is still to grow a little.